I was in Orlando to meet up with my parents before a convention, but I had a day to myself before they arrived. 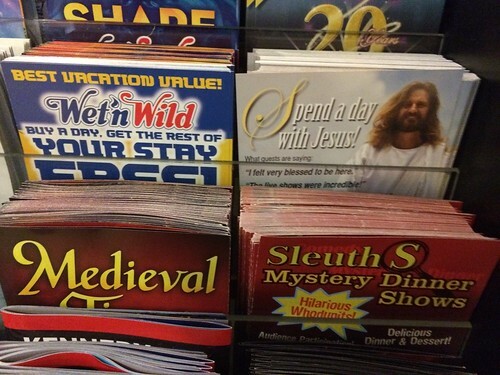 The first thing I noticed after checking in to an old, threadbare room at the Best Western was that the tap water smelled funny, like sulfurous mud, and I thought as I lay down to sleep: I should get out of Orlando. 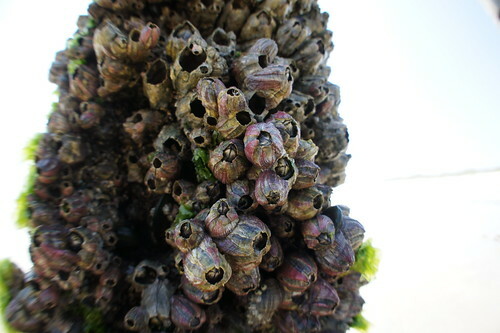 It was warm and the water was nicer than I expected but I’d forgotten to bring trunks. 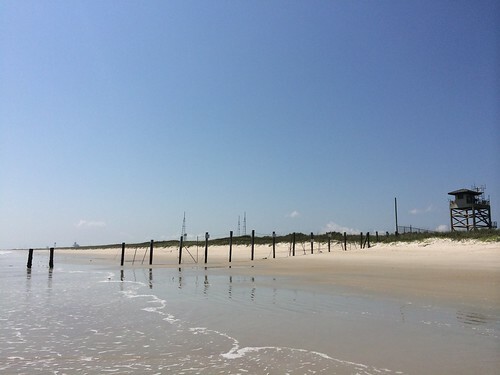 Still, a nice day to wade through the surf right up to the border of Kennedy Space Center, where the launch pad towers loomed from behind a dune and a guard tower decked out with cameras watched over a simple pier-type fence bristling with barnacles in the low tide. 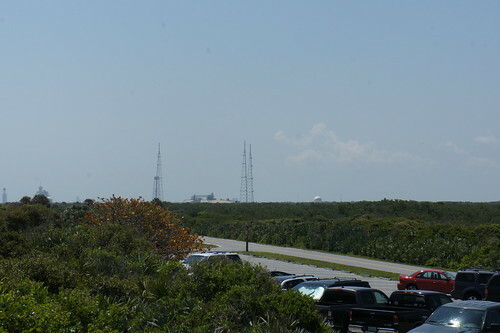 Without a rocket on the pad the view of Pad 39A is actually better from the boardwalk over the dune near the parking lot. 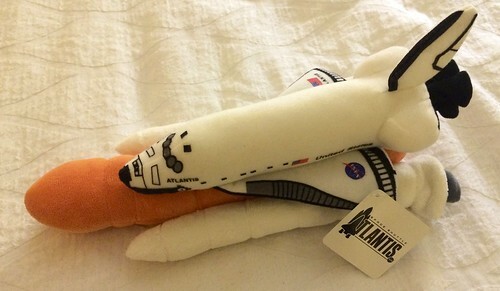 It’ll be a great view when NASA’s SLS is finally standing there. 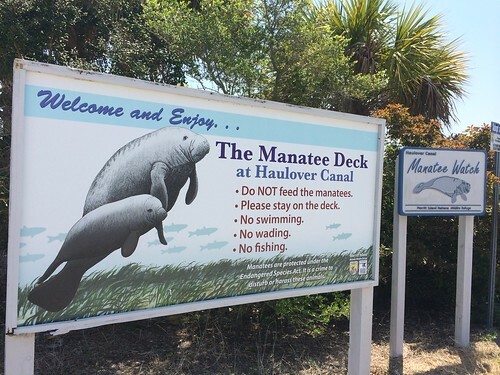 From the beach I drove north for a bit to go see the Manatee Observation Deck at Haulover Canal. 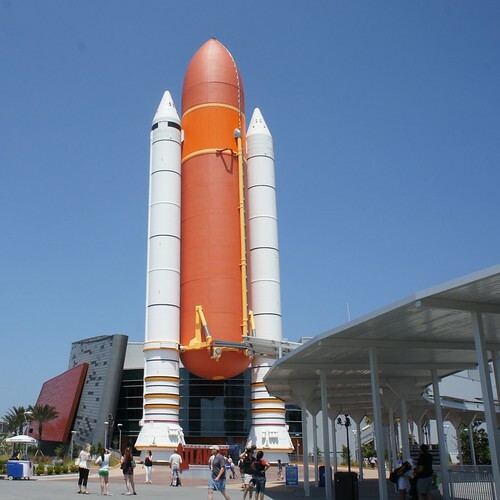 And from there it was down Merritt Island to Kennedy Space Center Visitor Center to visit the Space Shuttle Atlantis: retired in 2011 and moved into KSC Visitor Center, where it is now housed in a grand pavilion, marked by an ET-SRB stack visible for miles around. 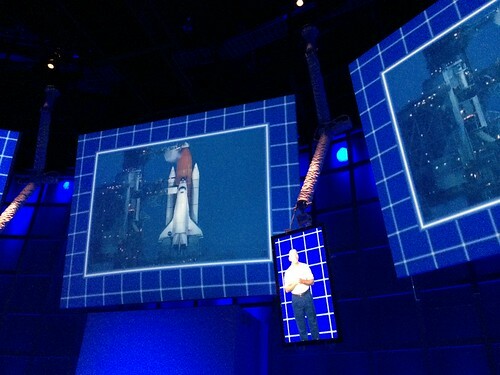 Before you get to see the shuttle you have to walk through two audio-visual intros. I admit I found the dramatizations a bit of an eyeroller, but the final transition from model spaceplane to actual shuttle was still a nice effect. 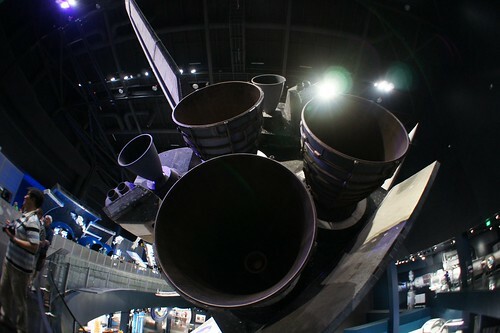 Atlantis is a wondrous sight to behold, suspended atop pylons and tilted at an angle, as if still in orbit on a mission, with payload bay doors open and Canadarm extended. 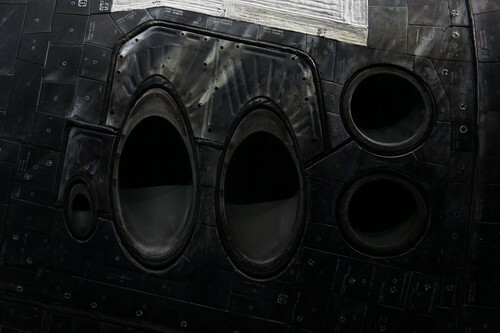 From front OMS pods to rear SSMEs the orbiter is viewable in great detail, almost close enough to touch and remember. 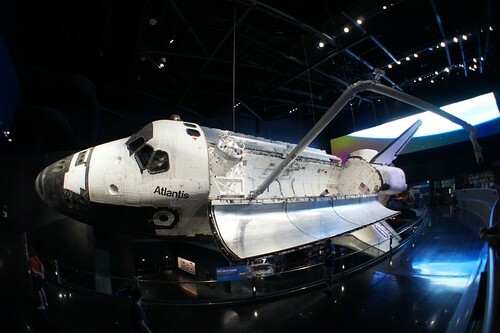 Interactive science and engineering displays surround the exhibit across two floors, with immersive playground-like activities for the kids, and the Shuttle Launch Experience, once a standalone simulator ride, is now integrated into the Atlantis pavilion. 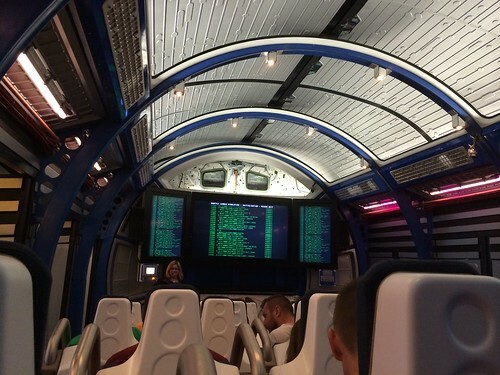 It’s like Star Tours but riding in the Shuttle payload bay, and with Charles Bolden instead of the pilot robot. 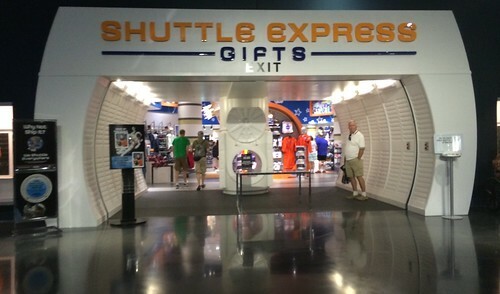 The exit is, of course, through the gift shop, where I picked up a plush shuttle on the way out. 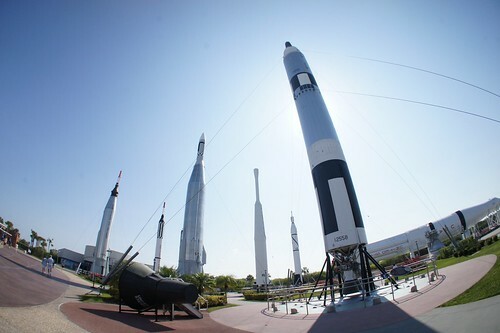 Before heading back to Orlando I paused a bit in the Rocket Garden to try my fisheye lens and remember past missions. Then it was off to Orlando to meet up with my parents. 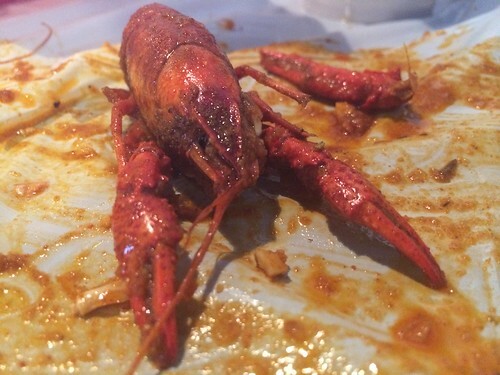 I didn’t get many photos while they were there, but I can tell you crawfish were involved. 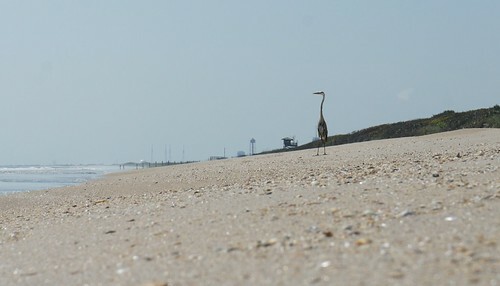 Full Florida photo album here. It really wasn’t enough and I do want to go back to Disney World with Amy and meet up with some people next time.